At AAMCO, we’re just as excited for football season as you are. Going to football games and tailgating with friends beforehand is a big part of the fun, if done safely. Stop into AAMCO before game day for some routine maintenance that will help you enjoy your outing at the football stadium even more! Battery- A well-maintained car battery is always important. Especially in case you should need to recharge your cell phone (with a car charger) after posting game highlights on social media all day. Make sure your phone always has battery power in case you should encounter an emergency on the drive home. Also, it’s a good idea to have jumper cables on hand because it’s fun to hang out in the parking lot…until you find out you can’t leave. Having jumper cables in your vehicle is always a winning play. Wiper blades- Whether it’s rain or shine, football goes on. Check that your wiper blades are in good condition before heading out to the stadium. A rule of thumb is to change your wiper blades every six months or so, especially if you live in an area with extreme temperature changes. Oh! And pack some rain gear to avoid getting soaked! Tires- Be sure to check the area around your vehicle so you don’t accidentally run over any broken glass bottles before pulling out of the lot. Also, make sure your tires are good-to-go and properly filled before road tripping to the game. Radiator, thermostat and heater (cooling system) – With football season comes cooler (and cold) weather. After sitting out at the stadium all day, you certainly look forward to warming up on the way home after the game. Make sure you don’t have any unwanted surprises. Make a quick and easy cooling system service appointment at AAMCO before game day. Most importantly, designate a driver –Keeping you safe on the road is what we strive for at AAMCO. Before going to the game, assign a designated driver if your group will be enjoying some adult beverages. Avoid alcohol related incidents by planning ahead for a safe ride home from the game. Be sure to have lots of non-alcoholic drinks on hand as well as getting some food in your system, since it’s going to be a long day. Now that you are fully prepared, it’s time to enjoy football season! 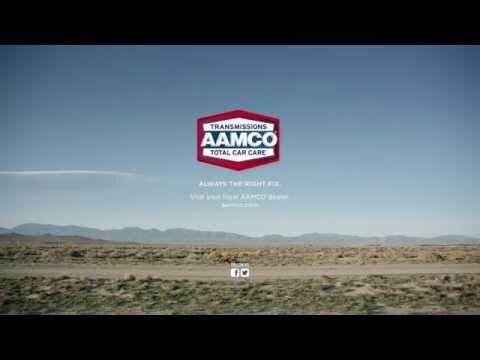 Should you experience any issues with your vehicle on game day or any day, trust the experts at over 650 AAMCO locations across the country to care for everything in, on and under your car. Go team!